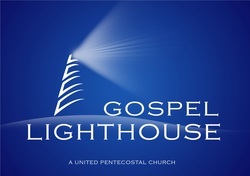 Gospel Lighthouse is a Church that holds to the teachings of the Bible, the Word of God. We believe that God created the world and all that exists. God created Adam and Eve, the first people and placed them in the garden of Eden. Adam and Eve were created in the image of God, with the freedom to choose whatever they wanted to do. Adam and Eve chose not to listen to the instruction that God had given them, causing sin to enter the world. Long after the sin of Adam and Eve, sin reached a point that was so bad that God destroyed all who lived in the world except Noah and his family, because Noah listened to the voice of God and lived a good life toward God. In the process of time, God sent His Son Jesus Christ to be the Savior of all humanity. Jesus Christ was crucified on the Cross of Calvary, taking the punishment God had set for sin, which is death, for all of humanity. The Gospel is the good news; that Jesus Christ died on the Cross for you and I, and that because of this we have a way back to God, through His Son Jesus Christ. The Word of God tells us that God wants to give each of us a fresh start! A new beginning! Through the power of the Spirit of God, we can be free of sin, fear, addictions and depression, we can be healed of a broken heart, our bodies can be healed - there is nothing that God cannot do! If you would like to know more about God's love for you, come visit and talk with us, or if you are in another state or part of the world, ﻿e-mail﻿ us and we can direct you to a Church nearby or send you more information about the wonderful life Jesus has for you!